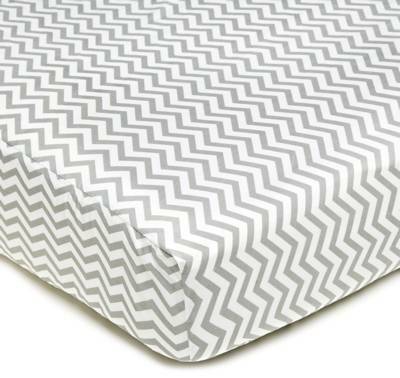 The 100% cotton percale 220 thread count fitted crib sheet is available in solid colors and current fashion prints to match any crib collection. Fits standard size crib mattresses 28" x 52". Machine wash, tumble dry low for best results. The 9" deep pockets and 3 piece panel construction provides a snug and secure fit.